John Thompson will focus on outside service work, production and technical engineering. ADG Solutions appointed John Thompson to serve as the company’s new technical and service manager. ADG Solutions helps companies process hard-to-recycle plastic waste from industrial, commercial and postconsumer sources. According to an ADG Solutions news release, Thompson will manage the outside service, production in the Atlanta facility and technical engineering at the company with a focus on PLC work and programming. Thompson recently held the position of maintenance manager at Fiberon Decking and prior to that was the senior electrical technician at Galvan Industries. According to an ADG Solutions news release, Thompson has several certifications, including a North Carolina electrical contractor license, certified reliability leader, Siemens S7 introduction, Six Sigma green belt, Studio 5000 Logix designer level 1 and Studio 5000 Logix designer level 2. Material recovery facility (MRF) operators discuss changes they have made to single-stream recycling in recent years. Pictured above: Mark Badger, Canada Fibers, presents on challenges with single-stream recycling today. Single-stream recycling is a collection method where households can put everything in one container at the curb. During Recycling Today’s Paper & Plastics Recycling Conference in Chicago, Nat Egosi, president of RRT Design & Construction, said this method is nothing new, but only about half of the recycling programs in the United States do single-stream recycling at all. Egosi said there are some clear benefits to single-stream recycling collection. 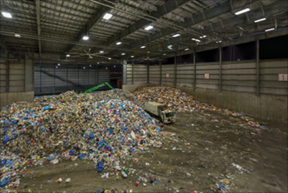 Several material recovery facility (MRF) operators shared their experiences with single-stream recycling, explaining the pros and cons to it, as well as changes that they have made to it with stricter contamination requirements. Since the National Sword policy was first implemented, Bob Cappadona, vice president of recycling at Casella Recycling, Boston, said Casella has had to move materials to secondary markets such as Indonesia and Thailand. With stricter goals for contamination and the state of Massachusetts requiring recycling, Cappadona said Casella had to make some operational adjustments at its MRFs this past year. Cappadona said the company has added retrofits where needed to reduce contamination down to 2 percent prohibitives. He said the company has added OCC screening retrofits in order to capture smaller boxes and achieve better value for cardboard. The company will also consider adding optical sorting in future upgrades to clean out fiber products. Another key to improving single-stream recycling is education—Cappadona said education could help to reduce contamination from coming into MRFs. To date, he said some of the worst contaminants he has seen at MRFs include plastic bags, film plastics, lithium batteries, clothing, cords, ropes and food waste. Cappadona said Casella launched a #RecycleBetter campaign to educate community members on what is recyclable to reduce contamination levels at MRFs. The campaign has been promoted on social media, the company website and in print ads. 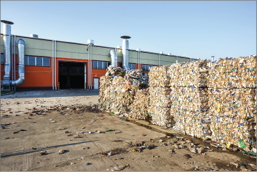 In recent years, Recycling & Disposal Solutions of Virginia has been hit hard with the backlog of paper coming into its MRFs as a result of changing policies and stricter contamination standards. Joe Benedetto, president of Recycling & Disposal Solutions of Virginia, said he thinks the industry is in a part of a 10-year cycle right now. “It seems every 10 years we have a catastrophe and then recover,” he said, adding that there are a few things MRF operators can do when these cycles occur. He encouraged MRF operators to communicate more with customers through open dialogue when these cycles occur. Benedetto said Recycling & Disposal Solutions of Virginia is working with municipalities to increase education to community members so that they know what can be recycled. Currently, he said Nos. 3-7 plastics are not recyclable at his company’s MRFs, so there has been a lot of education around those items. As a smaller MRF operator, Benedetto said his company has not invested much in adding new technology to improve contamination rates. However, the company has added more laborers to help with sorting. Mark Badger, executive vice president at Canada Fibers, Toronto, reported that there are several challenges for today’s MRF operators, such as overcoming the addiction MRFs had to sending materials to China. There are also the challenges of MRF operators determining what materials should be recycled and dealing with high contamination rates coming in, he said. MRF operators should invest in technology as a way to eradicate contamination and meet the strict purity specifications. MRF operators should assist municipal customers to reduce confusion on what goes in the curbside bins. Research and innovation should be done to find new technologies and methods to address challenging waste streams. There is a need to develop new domestic markets for recovered materials. MRF operators should communicate with government agencies and lawmakers on ways to drive a more circular economy. The city of Phoenix is not new to single-stream recycling—Rick Peters, deputy director of public works for the city of Phoenix, said the city has one of the oldest single-stream recycling plants in the United States, which opened more than 25 years ago. Peters said the city’s MRFs are experiencing the same issues with contamination as other MRFs across the U.S. To address those issues, he said the company is focusing on education and infrastructure investment. To educate community members on what’s recyclable, Peters said the city placed “Oops!” stickers on recycling bins when they had contaminants in their bins. He said the first week of this initiative, about 72 percent of people received the “Oops!” sticker. After five weeks, though, he said only 29 percent of people received that sticker. “We’re encouraged by those numbers and will continue to focus on getting quality from the inbound,” he said. Additionally, Peters said the city is looking to invest in optical sorters and other new technology at its two MRFs to reduce contamination. 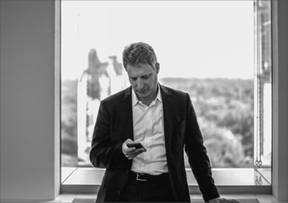 Closed Loop Partners co-founder Ron Gonen explains his vision to reinvigorate U.S. recycling. When Ron Gonen co-founded New York City-based Closed Loop Partners in 2014, his goal was simple: help reform the way companies and municipalities recycle. Gonen, who served as the New York Department of Sanitation’s deputy commissioner of sanitation, recycling and sustainability under Mayor Michael Bloomberg, saw an opportunity to streamline and improve recycling operations across the country through smarter investments. Along with co-founder Rob Kaplan, a former director of sustainability at Walmart, Bentonville, Arkansas, Gonen created Closed Loop Partners to serve as an investment platform that could help companies and municipalities fund projects aimed at improving recycling rates, reducing contamination and increasing participation that might otherwise have difficulty getting financed. Through the organization’s Closed Loop Fund, Closed Loop Partners deploys no-interest and low-interest loans to help vetted third parties finance their specific initiatives. For their efforts, the company takes a small management fee, while investors expect their principal investment to be returned with a little additional interest. The organization’s fund, which has attracted more than $100 million in co- investment to date thanks to participation of high-profile corporations such as Coca-Cola, Procter & Gamble, 3M and PepsiCo., has been deployed to help bankroll 38 projects. Last year, the company invested more than $40 million for 17 projects across the U.S. and Canada. Closed Loop Partners has helped fund a number of auspicious programs in the years following its inception, and while Gonen says all the projects that have been funded by the organization are performing as expected and paying back on schedule, he acknowledges that the recycling landscape has shifted considerably since the organization was first conceived. Gonen says the need to update MRFs and improve the quality of bales is more pronounced in the face of China’s ban of U.S. recycling imports, and in order to meet the increased purity demands of the market, today’s companies have to make the decision on whether to invest in new sorting technologies or see diminished end markets for their materials. Enforcing a higher standard is not just something that should be left unto MRFs, according to Gonen. He says municipalities should be including specific purity rates into their contracts to ensure that recovery facilities are able to process materials in an economically viable way. He notes that bale quality above 90 percent should be the standard, although above 95 percent is the ideal. Although the China ban has upended business for a number of recyclers, Gonen thinks this disruption can ultimately be a positive one. Gonen says another positive of the China ban is how it has spurred a massive opportunity to invest in recycling and the circular economy in North America. He says that domestic companies are hungry for recycled materials, and creating more refined recycling streams could help forge in-roads with these major manufacturers. Through Closed Loop Partners, Gonen says he hopes to act as a conduit to help better connect manufacturers with recycling haulers and processors to generate the right kinds of materials for industry. Changing the recycling practices in this country requires changing the status quo of how waste has traditionally been handled. With this in mind, Gonen says his organization is committed to working with companies who are more focused and strategic about diverting recyclables from landfill. Gonen says that supporting innovative privately held regional companies that are approaching recycling the right way (he mentions Lakeshore Recycling Systems, Morton Grove, Illinois; Balcones Resources, Austin, Texas; Pratt Industries, Conyers, Georgia; Recology, San Francisco; and Firstar Fiber, Omaha, Nebraska, as examples) can have a big impact in helping divert recyclables. Because of this, Closed Loop Partners is focused on looking for ways to get these types of companies to a scale where they can better compete for contracts across the country with some of the biggest players in the space. In addition to supporting more strategic haulers and operators, Gonen says that the importance of recycling and its benefits need to be better communicated to customers. Part of communicating this message requires cutting down on misinformation about what should and shouldn’t be recycled. While some environmental and special interest groups have made headlines decrying plastic waste, Gonen says individuals need to know the nuances between different types of materials and how they affect the recycling stream before they can make educated decisions on what to recycle and what to throw away. Gonen says producers of some of this hard-to-recycle material, such as plastic bags and straws, should take the current call to ban these items as an opportunity to innovate and figure out how to develop proper sorting technology for the specific type of plastic or product they produce, and to do so in a way that can help develop end markets that pay over $70 per ton. He notes that the groundswell of companies and municipalities coming out against difficult-to-recycle single-use items is a positive for the industry because it can help start the larger conversation on what types of materials are bad for recycling and which ones, like polyethylene terephthalate (PET), high-density polyethylene (HDPE) and rigid polypropylene, are of high value to recyclers. To help manufacturers and recyclers develop solutions to today’s recycling headaches, Closed Loop Partners unveiled its Center for the Circular Economy in March. The organization is a research and development (R&D) center where manufacturers, municipalities and investors can come together to foster ideas to move the recycling industry forward. One of the cornerstone initiatives being undertaken through the center is the push to give paper and plastic cups a second life. The NextGen Cup Consortium, led by Starbucks, Seattle, and McDonald’s, Chicago, is committed to identifying and commercializing existing and future recovery solutions for single-use hot and cold paper cups that often end up landfilled. Gonen says he hopes that the center will serve as a forum for innovative solutions that can be supported by the organization’s in-house funding mechanism. Moving forward, Gonen says he sees a tremendous opportunity for investment in domestic recycling and circular economy infrastructure, but it will take buy in from across the supply chain for these investments to bear fruit. Luckily, he says, the industry has been receptive to working with his team to develop solutions that will allow recycling to find new life in this country after the smoke from the China ban settles. WSRA awards cover several categories in state of Washington. Award categories include Individual Recycler, Public Agency, Institution, Non-Profit, Higher Education Institution, Business Generator, Public Education, Youth Education, Innovation, Recycling Business, and the Recycling Hall of Fame. Criteria for the award categories and nomination forms are available on the WSRA on this page of the WSRA website. The J.M. Smucker Company will launch its effort in early 2019 with Folgers coffee packaging. The J.M. Smucker Company, Orrville, OH, announced it has joined the How2Recycle initiative to educate consumers on how to responsibly recycle packaging. The J.M. Smucker Company will launch its effort in early 2019 with Folgers coffee packaging that will feature the How2Recycle label. How2Recycle aims to promote recycling by reducing confusion through the implementation of a clear, well-understood label that enables companies to convey to consumers how to recycle a package appropriately. The How2Recycle label, which is featured on thousands of products in retail locations across the country, is the only U.S.-based recycling label that is standardized across all packaging types. Studies and insights show many recyclable products and packages end up in landfills, as many consumers are confused about which items can be recycled and how to sort them. The How2Recycle label is a project of the Sustainable Packaging Coalition, Charlottesville, Virginia, and is the first standardized U.S. recycling labeling system designed for consumers. Today, more than 100 brands and brand owners have added the How2Recycle label to their packaging and many leading retailers, including Walmart, Target and Amazon, are supporters of the program. Respect for the environment has been a focus of The J.M. Smucker company since its founding in 1897. The company has maintained constant vigilance around its sustainability efforts with continuous monitoring to determine opportunities for improvement, the company says. It has also established specific environmental goals to reduce its impacts related to waste, water and greenhouse gas emissions by 2020, including diverting 95 percent of waste from landfills, reducing water use intensity by 15 percent and reducing greenhouse gas emissions intensity by 10 percent.